Things to do for 2019- #4 Take the necessary steps to make the impossible, POSSIBLE. Oftentimes in life, some challenges may seem impossible to overcome. This could be in the area of relationships, finances, health, etc. Some of us have been fighting battles for years. Some of us have been trying to overcome for years. Some of us may be at a point where you’re just sick and tired of being sick and tired and not really wanting to try anymore. Well, let me encourage you! You can do this. It may take some time, but you can. It may be a struggle, but you can. You may get a little weary, but you can! Don’t let 2019 be the year that you give up completely on certain things. Let it be the year of all things being possible through Christ who gives you the strength to make it possible! You see… giving up on the process is like giving up on God. How you handle the process is how you handle God. God never gave up on you, so don’t give up on Him. You have to understand that God is the one who allowed the process in the first place. He’s looking to see how you’re going to handle it. 1. 1)	Never give up. 3. 3)	Persevere even when you feel like giving up. 4. 4)	Add prayer and fasting. 5. 5)	Speak life into dead situations. 6. 6)	Walk by faith trusting God every step of the way. 7. 7)	When you become tired and weary, go back to step one. If you do those things, you can manifest what once seemed impossible. 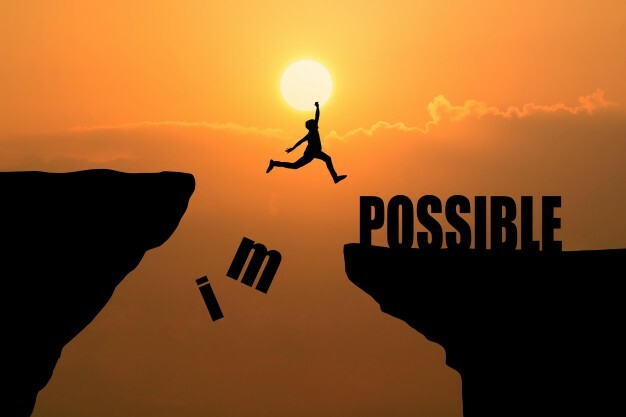 The very word “impossible” includes the words “I’m possible”! It’s all about how you see it! Listen, I speak from experience. I manifested what once seemed impossible by doing all of the above! I manifested my 2 miracle babies, my businesses, my ministries, divine health, etc. It’s going to take the same from you. Don’t give up. You are possible. You can do this. You simply got to BELIEVE.